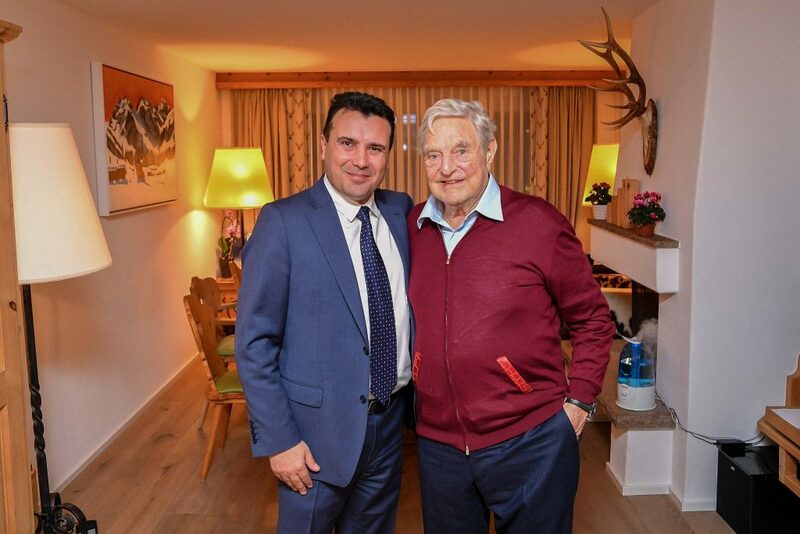 The Prime Minister of FYROM, Zoran Zaev met with billionaire George Soros on the sidelines of the World Economic Forum in Davos. The meeting was announced by the FYROM PM through his twitter account. As he wrote, the two exchanged ideas for intensifying cooperation between Skopje and Soros’s Open Society Foundation on a number of social issues. “The accession of ‘Macedonia’ to NATO and the European Union have were assessed as key steps in providing stability and security for the country and the region, opening the door for new foreign investment, economic growth and improved quality of life of the citizens”, the announcement published on the FYROM government website said. The two men “exchanged ideas for strengthening cooperation between the government and the Open Society Foundation”, aiming at providing better facilities for childcare and early childhood education and the inclusion of Roma in different areas of society.